This is the decade of the comeback; the decade of other decades. Evidently, it's an era for veterans and retirees to survey the entertainment landscape and conclude that now's about a good a time as any to finally make their fortune. Amongst the most-discussed games of 2007 and 2008 have been Fallout, Alone in the Dark, Prince of Persia, Diablo, Shadowrun, Deus Ex, Thief, Karateka, Turok, X-COM, Starcraft and Duke Nukem Forever. Meanwhile, Indiana Jones, Rocky Balboa, John McClane and Fox Mulder return to the silver screen. Every band that was ever active between 1977 and 1989 has reformed. And Linda Evangelista, 43, ex-supermodel, has a new contract with Prada. The comeback can be embarrassing, especially for those performers whose brilliance evaporated in the intervening years. Some acts remain on the stage for far too long, and trail off into obsolescence; and some acts are remembered for going out at the height of their power. It's the latter that will return ten years later to be terrible and break hearts. Why they do this is often a mystery. Perhaps they, like the audience, are simply nostalgic -- but for a time when inspiration came easier and the critics were kinder. It's not, for them, because of the money -- they just miss it. That's probably the case for the creative minds behind Indiana Jones and the Kingdom of the Crystal Skull, and The X-Files: I Want To Believe, two films which give no justification for the enormity of breaking silences of nineteen and six years, respectively, offering only the most mediocre possibilities of their potential. They have nothing to say. If they didn't want to be forgotten, they made a mistake by returning to the spotlight with the forgettable. Video games are at once similar and dissimilar to those examples. 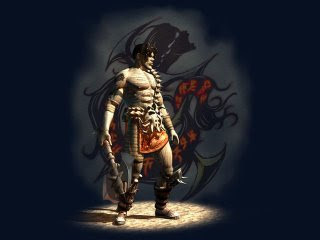 2003 and 2008 reinventions of Prince of Persia have not only acknowledged contemporary standards of game design but have sought to raise the bar. It's nice when they innovate, but an important reason why these franchise remakes and resurrections exist is simply to exist. Next-gen isn't just a buzzword. Prince of Persia 2008 is Prince of Persia 1989 reinvented with a next-gen vocabulary and for next-gen audiences. It has to be this way because old games (here's the problem with being the innovation medium) do not age well. The Prince of Persia has returned to recapture his relevance, and hopes also to keep his trademark in the public consciousness. Gamers could go through the trouble of finding a copy of, and successfully running on Vista, Jordan Mechner's original, but on the other hand here's this new version. It's made for them. This is the explanation behind every American remake of a foreign culture's film, or the movie adaptation of a dense novel: one version is saddled with subtitles and footnotes, available for those willing to stray outside of their comfort zone, but there's this alternative that was created to be accessible today. In a way, it's not completely cynical. It only ever matters if the original idea meant something. The idea of Fallout, the idea of Prince of Persia, they meant something. The ideas will persist, but the reality is that the form has to change. It's like the annual EA Sports variations only with fewer iterations. People buy Madden '09 to get the best available Madden experience and to keep conversant in the series. 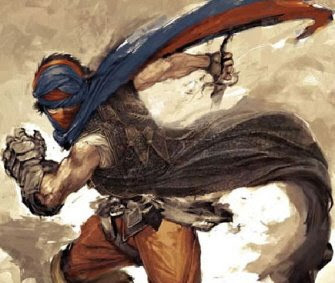 Prince of Persia: The Sands of Time was a Prince for '03. It added to the original formula but it was very much what Prince of Persia was always about. Even an ostensibly original game like The Force Unleashed is a reinvention of what Jedi Knight was doing twelve years ago, but repackaged and made attractive for 2008. Even if it's not as good, it's the only one of the two that can make a case for itself today. Unfortunately, old games die. They can't be shown off to anybody's kids, for two reasons. The first is availability, a challenge which every other entertainment medium on earth has resolved. This might be changing to a limited extent, with ventures like Good Old Games, but in the face of Microsoft and Sony deprioritising backwards compatibility for the consoles, it doesn't make fiscal sense to be old anymore. To say nothing of what the future holds with DRM, limited install activations and incompatibility with future versions of Windows. There is an effort to preserve old games, but they're preserved -- as museum pieces, not contemporary prize-fighters. The world of video games is a world where Raiders of the Lost Ark is available only as an out-of-print VHS on eBay, and where, consequently. Kingdom of the Crystal Skull will define a new generation's expectations of Indiana Jones. Secondly, innovations in graphics, physics, AI, camera, control schemes and narrative techniques happen with such frequency as to render games older than five years painfully antiquated. That's the effect of these franchises coming back -- while studios cashing in on a license is part of it -- to maintain relevance through a legacy. It's why Chrono Trigger DS is good, not redundant news: it's an update of an absolute classic that's modernised and playable on current hardware. It's why there's the clamour there is for a Final Fantasy VII remake. Fans want what was emotionally powerful and groundbreaking in 1997 -- overwrought and clichéd now -- to be all those things forever. Games have a short lifespan. 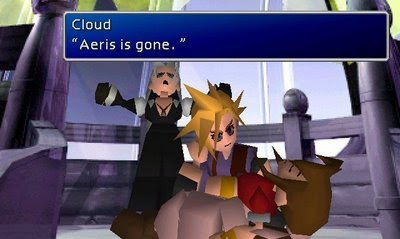 The evidence for Final Fantasy VII as a landmark moment in game storytelling becomes less convincing as time goes by. How can today's developers build a game that endures? Not just a game that audiences will still be playing in ten years but one that stays profitable -- a game of today that has the audiences of tomorrow picking it up for the same reason they buy the DVD of Badlands, The Third Man, or Rashomon over The Kingdom, Never Back Down or Street Kings. Developers can be, and have been, remarkably creative, but they're still inevitably outdone by the pace of technological advancement. To a significant degree, the staying power of their game is out of their hands. Developers need a game built like Linda Evangelista, acclaimed by Chanel designer Karl Lagerfield, who says today of the nineties supermodels: "Time makes them more interesting.... They are, and stay, irreplaceable." It's an imperfect comparison -- video games to human beings -- but both have faced, and will face, the struggle of being a last-gen girl in a next-gen world. Which of today's developers best resembles Ponce de Leon questing for the Fountain of Youth? I think it has to be Crytek, who push the envelope of mortality and are placing their bets on the future-proofed Crysis and Crysis Warhead ("Opportunity Warhead" in China.) How likely is it that gamers of 2013 will be hyped for Grand Theft Auto VI, Fallout 5 and... Crysis? The technology will finally be up for it, but will the gamers? It does seem like Crytek are undercutting Crysis' position as a game built to stand the test of time by releasing an improved game one year later. What makes Crysis more desirable than Warhead, or instead of the already-planned Crysis 2 and 3 -- all of which will likely be packed with improvements over their predecessors? 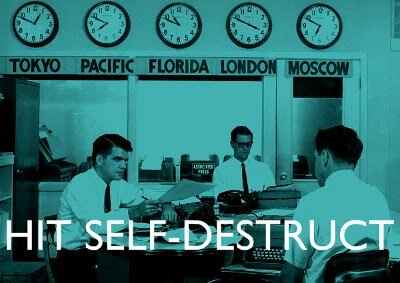 The problem with future-proofing is it necessitates future-predicting: what will be en vogue in 2013 or 2018? Can Crysis compete with the games of 2013, which will look as good as it does now and have incorporated the heretofore unseen next five years of gameplay innovation? Crysis may learn the moral of every single parable about vainglorious men who should have been careful what they wished for. Crytek want immortality, or at the very least, to live a little bit longer than everyone else does. Games should be able to compete, like every other medium can, with their descendents. Somewhere there's a solution to that problem. Trying to prolong a game's life, however, through future-proofing or content updates or rapid-fire sequels, might not be the best way forward, because sometimes they end so perfectly. Consider what the game gets, and what the audience get, from the graceful exit. There's a quiet dignity in retirement, and benefits to a legacy consisting solely of memory. Standard-bearers for the contrary are the Simpsons and the Rolling Stones, both of which, sad to say, have been bad for longer than they were good. Look how many fans get mad that bad sequels to their favourite games even exist. Remember what Team Fortress 2 was like before the achievement farming? And how exciting were Katamari Damacy and Guitar Hero, once. Once upon a time, it was kind of prestigious to have seen the Pixies live -- before the Pixies actually did reform and anyone, however young they were, could see them at far from their best. The comeback is fraught with peril. It can diminish the value of memories. Who can't see the Pixies or the Stooges nowadays, but who would want to either? But for those who were at the Pixies' very first show in Boston, or at the premiere of Raiders of the Lost Ark have those moments to themselves, which were maybe nonchalant occurrences at the time, but have since been mythologised by the next-gen. That's the reward for losing favourite things; they can be remembered at their best. If it ever seems like it's not the best of times, imagine someone asking how amazing was it to be a gamer when Jeff Gerstmann was fired, and to have witnessed the laughably disparate reveals of Diablo III and Dragon's Age, and to have listened to GFW Radio every week. In a thousand years, even that may be worth something. I played ICO for the first time this year, after 7 years of its original release and I found it more next gen than current gen:) Even the graphics! I think if a game stays in its well defined circle (even with the minimal radius) but does everything perfect there, it can stand the test of time. Others, that play strongly in only one direction - like Crysis - will quickly turn to ashes. There will always be exceptions to rules and the formula never repeats: Counterstrike is still played by thousands (if not more) and the game hasn't received a major update in quite some time. The difference between CS 1.6 and CS:S are limited to an improved physics engine (which only marginally improved granades and flashbangs). Valve has also found a way to renew TF2 in a gamer-focused fashion: keep giving them what they want. With a cost-effective content distribution platform, the updates, the achievements, the free weekends result in a healthy purchase rythm by the targeted market niche. Crysis was the summer's blockbuster and was treated accordingly. No matter the graphics/production values, if the story/script don't entice the audience/gamer, you will be quickly forgotten/pirated. It's odd then to look at a game like Mega Man 9. It's almost completely without precedent. A new game, generations removed from the last in the series, with a look and design that is completely in tune with the first (well, second) of the series, which was generations before that. There's something to be said about that but I'm not sure what as I'm without a console at the moment and can't play it. What I find ironic about Mega Man 9 is that a series which long ago fell out of the public consciousness can only get press now by being even more deliberately regressive. I do not remember the last time I saw anyone discuss a Mega Man game. Perhaps this is one of the problems with games being a medium so dependent on new technology. Literature hasn't had a content/technology upgrade in, well, ever (just changes in distribution). Music toyed with incorporating new technologies in the 70s and 80s with synthesizers, but that didn't last long and certainly didn't change music to the point where unsynthesized music is considered antiquated. Movies have certainly had their changes, from silent films to talkies, black and white to color. Special effects have gotten better but I'd say we're at the point now where a director doesn't need to feel limited in their ability to tell a story by what effects they can pull off on screen - if anything they're limited more by ratings considerations. With games, though, there's always technological limits to what you can and can't do, and an awareness of how quickly gamers tire of the old and want the new. It's hard to make a Citizen Kane of games because no one would want to go back and play a game that was 60 years old (or to make it more relative to games let's say 18 years old). If developers know their game isn't going to have much longevity beyond a couple years why would they want to invest their creative energy into something artful and moving? Maybe the reason so few people that would consider themselves "artists" are attracted to game development is because as artists they are searching for something lasting, an opus that stands the tests of time. Currently, with the exception of nostalgia, games can't do that. Roher may have hit upon something, consciously or inadvertently given the tools at his disposal. By making games that are, for lack of a better word, minimalist as far as graphics and controls go then they already future proof themselves at least among the set of gamers who would be willing to play them to begin with. There's little chance of being turned off by Passage 20 years from now because you go back and play it and think the graphics haven't held up. . .